LIZ GODKIN is a textile creative who has worked in a wide range of textile positions from a boutique custom t-shirt printer to a New York fashion house. Liz specialises in fabric design for digital printing that is applied predominately across the swimwear and women’s fashion markets, as well as soft furnishings more recently. Liz also enjoys playing with her own creations, developing designs and repeating patterns, that she has then gone on to make into board shorts, wall hangings, cushion covers and even her own wedding dress. Liz teaches across several textile techniques including fabric dyeing and screen-printing with stencils as well as developing artwork for digital printing. Liz is excited to share her knowledge and looks forward to helping others develop their artwork for their own printed fabric. STACEY BIGG by day works a normal day job with a Brisbane based University, but by night, is a self-taught creative of all things arts and crafts! Stacey loves working with watercolour, creating textile art, and helping creative brands with their surface pattern and design needs. Stacey has had her designs featured on swimwear labels from USA. Having left her creative ways behind in high school as many of us do, to climb the corporate ladder, her creative journey was reignited while on maternity leave with her second baby. 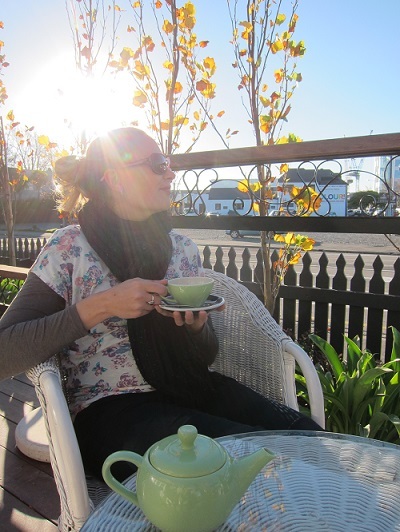 Stacey attended some creative workshops for a 'little bit of me time' and was hooked! She was suddenly reminded of how fun and rewarding art and design could be and just had to do it again. Stacey, began posting her work on Instagram and before she knew it, she had custom orders coming in from everywhere! Stacey, created Kalaii Creations out of her passion for arts, crafts and design. 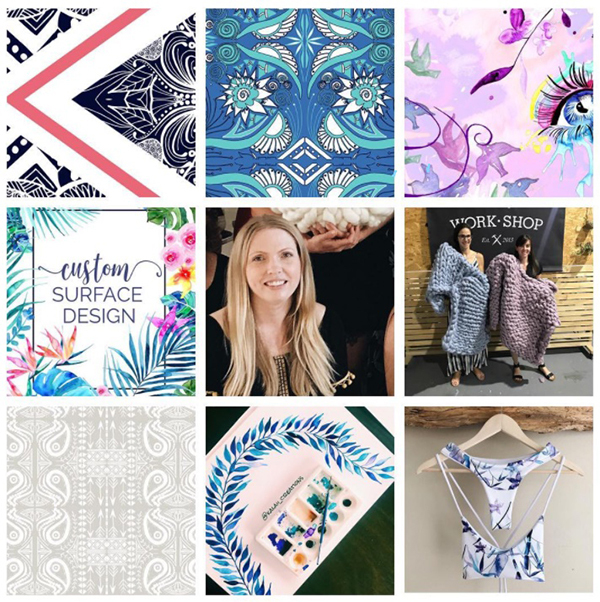 Kalaii Creations is a Brisbane based creative design brand with a passion for textiles, surface design, and watercolour art/prints. They enjoy working and collaborating with other creative brands to bring their design to life and help their product stand out through unique surface designs. ROBERTA MONTORFANO is an Italian-Mexican textile and graphic designer, based in Sydney, Australia but with her heart and mind all around the world.Growing up in Italy in the small northern city of Como, the Italian capital of silk, Roberta was constantly surrounded by colours, textiles, history and art. 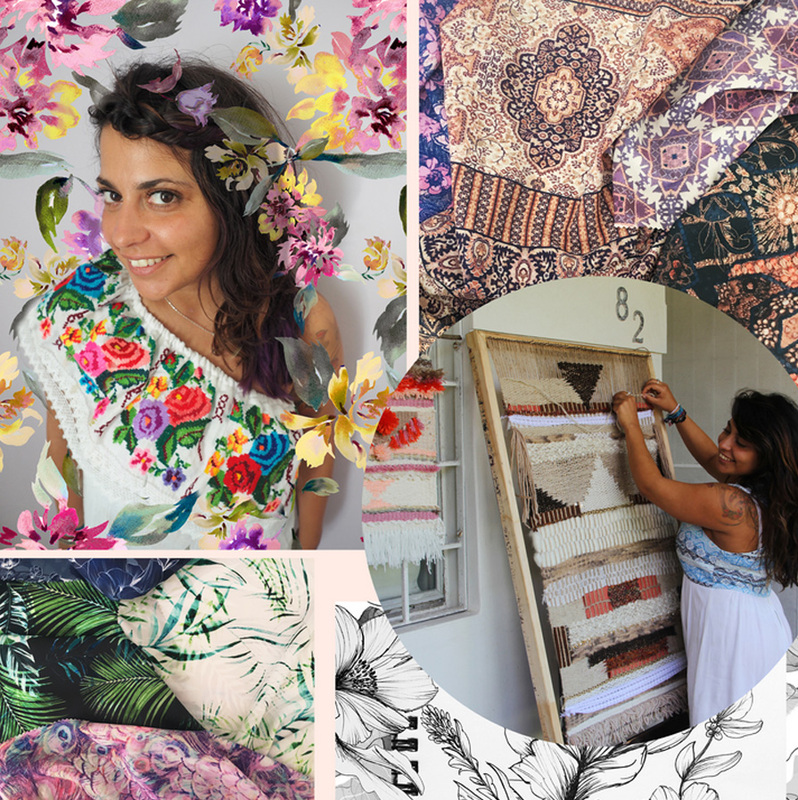 After 5 years of experience in textile design in Italy, participating at international textile fairs in China, USA, Brazil and Europe, she decided to move to Sydney in 2013 to continue her career in design and fulfill her dreams so she started Betta Designs, a creative textile print design studio. She believes that everyone can tell stories though design, art, photography and colours – they are all a portrait of your soul, history, family and generation you carry with you.